Many of you are aware that our club has the above system available. How it works is that a transmitter is plugged directly into the caller’s equipment. The dancer has a receiver which is set to a specific frequency and through ear-phones they hear the caller’s voice. 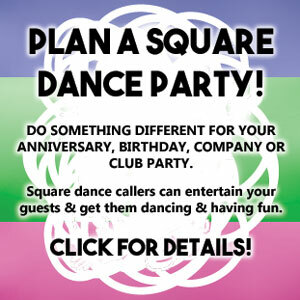 This system is widely used now in many square dance clubs and at square dance events with large rooms. The various provincial associations have been promoting this and encouraging clubs to all have a transmitter. Sometimes when a dance is held in a large school gym, the sound is not always the best. This system certainly helps to hear the calls. The club has a receiver which members may borrow. However if you plan on using it regularly, we recommend that you purchase your own receiver and have ear-buds or ear-phones suited to your own needs. We have two receivers for sale if anyone is interested. Both are new. Kaito KA321 $25 This is actually a pocket radio with low frequency FM setting which works well with the system. PLL Receiver $80. This is a more compact device specifically designed for hearing devices and is the one which is normally supplied with the transmitter. Speak to me if you are interested or would like to try the hearing assist.